Earlier today, I ran across a computer with a broken trust relationship. I don’t know how long this machine had set there – in a corner – alone – afraid to authenticate with the nearest DC. I took pity on the little guy and helped him get back on his feet. As always, the broken trust relationship issue boils down to a password mismatch between the computer and the domain. It isn’t that the computer forgot the password (though that would be embarrassing if it did). Instead, this problem is usually the result of IT error (such as a duplicated name or an accidental reset). I list many reasons and a remote way to fix broken trust relationships on this page. 8 is the loneliest number. I became curious on how many other machines in my domain are in this same sad/confused state. Turns out, I had 8 of them – 7 of which I was able to fix remotely! Most of these machines were open lab computers. These labs often have a spare or two (which explains why these weren’t reported to our helpdesk). Below, you will find a PowerShell script that will let you check your domain for broken trust computers. It works by looking for a system NETLOGON event ID 5722 on each DC. This event ID contains a computer name that failed to authenticate. The user running this script should be delegated the Event Log Reader permission on your domain controllers. This can be accomplished by adding the user to the built in AD security group: Event Log Readers. To use this script, you will need to set the configure the five lines at the beginning. The first line sets the earliest the script will search. If you run the script once per day, you do not need to change the first line. If you set it to run once per week, change the value from -1 to -7. The next three lines are needed to send an email alert. The final $Subject line can be changed if you prefer a different email subject. Once you fix a machine, it should not generate an email on the next regular script run. This is accomplished by comparing the $DatetoStartSearch value to the last time that machine changed it’s password. If you run the script manually, repaired machines may generate an email because that $DatetoStartSearch value will be refreshed again. If you wish to run this manually, comment out the first line on any sequential executions. If you have any issues running this script or found any improvements to add, just let me know in the comments. Have you ever used a technology for years and suddenly found an awesome hidden feature? This has happened quite a few times to me such as here or here. This post marks another one of those experiences. When you first load machines into Server Manager (like you did in the Best Practices post), you likely freaked out! Dozens of servers were marked as offline and hundreds of services were stopped/disabled. Most of these will be false alarms. Under Manageability, you will likely see 2008/2008R2 servers that do not have WinRM installed and configured. If you have 2003 boxes still around, you will see errors with them as well. Services errors will mostly be those that are automatic but stop until they are needed (ex: Microsoft .NET Framework NGEN or Software Protection). Any legitimate issues should be resolved now. To get rid of the remaining Server Manager errors, you will need to exclude and filter Server Manager. Select the category with the errors. In the top of the window, you will see different methods of filtering. For example, I am filtering out the Software Protection service from the All Servers group. Continue filtering either servers or services until you are at a clean environment! From here, address future alerts or exclude them from display. And that is your Server Manager Quick tip! Are you using Server Manager yet? Are your servers still generating short file names? Are your forward lookup zones configured for 2008+ domains? Ever wish you had an easy way to check your servers against Microsoft’s recommend best practices? By using the Best Practice Analyzer (BPA) in Server Manager, you can identify common misconfigurations and fix them (without even having to hire a consultant)! What is the Best Practice Analyzer (BPA)? Remember the first two questions at the top of this article? Both of those are common issues identified by a BPA scan. The first one is a common misconfiguration on file servers and is easily fixed with a registry change/Group Policy Preference. The second one is created in when you take an older domain and upgrade your domain controllers. It falls under a DNS BPA scan. Each best practice has corresponding pages explaining the issue and how you can resolve it. The first link above includes all of the common serve roles that exist on 2008 R2 and above. Best practices listed there apply to 2012 and 2012 R2. The second link contains the best practices for roles introduced in 2012/R2 (ex: Work Folders). Of course, you probably just want to see what best practices apply to your servers. Let’s do that! How Can I Use the Best Practice Analyzer (BPA)? Launch Server Manager from your machine. If Server Manager has always been that annoying popup when you RDPed into a server, get ready to have your mind blown! Start by adding servers to your Server Manager console. You can filter by OS, names, OUs, etc. Server Manager will then connect to those machines, discover the roles running on them, and begin grouping them by role. You can create your own custom groups (ex: grouping servers by physical sites). While Server Manager scans, read the What’s New and Learn More tabs. Server Manager is awesome tool that should be in your daily arsenal! After the server scan has finished, select All Servers. Find any Server 2008 R2+ machine, select it and scroll down to the Best Practices Analyzer section. Select Tasks and Start BPA Scan. From here, you can start the BPA scan on the single machine that you selected or add other servers. Regardless, a BPA scan will be performed on each role that the server has. You can check the status of your scan by selecting the Flag icon in the top right of Server Manager. Any errors are listed here as well. Once the scan completes, refresh server manager – select your server – and scroll down to the Best Practices Analyzer section. Any scans that triggered a warning or error should now be listed. You can select each item to read the problem and potential impact. Each result also includes a link to resolve the issue. Continue this process for each machine, resolve the issue, and start optimizing your server setups! Relationships 101: The trust relationship between this workstation and the primary domain failed. As you probably know, computer accounts have passwords. When the computer account is first configured, it’s default password is COMPUTERNAME$. It will change the password and continue changing the password every 30 days. But what happens if a computer is offline for more than 30 days? Machine account passwords as such do not expire in Active Directory. They are exempted from the domain’s password policy. It is important to remember that machine account password changes are driven by the CLIENT (computer), and not the AD. As long as no one has disabled or deleted the computer account, nor tried to add a computer with the same name to the domain, (or some other destructive action), the computer will continue to work no matter how long it has been since its machine account password was initiated and changed. Duplicate Computer Names: If you have two physical computers with the same name, you are going to have problems. You can use this script to help find potential duplicates. Resetting the AD Account: For clarification purposes, this is not a fancy “Restart Computer button”. That fancy button can be found here. Duplicate SIDS: This last reason is still in question. If you are properly imaging your machines, you won’t have any issues here though. Infidelity: Some have reported that repeatedly joining/unjoining different domains can cause this issues – why they were even trying this, I do not know. Remote Desktop is your best friend on this problem! Connect to the computer as the local administrator. Because local users do not authenticate against the domain, you should not have any issues logging in. If you are unable to resolve the name of the computer, you can use DHCP to locate the IP address. Hopefully, this post will give you some closure on why your trust relationships sometimes fail. If you have any questions (or tips on troubleshooting this problem), please let me know in the comments below! If you want to learn more and learn how to make your IT life easier, then subscribe to DeployHappiness. 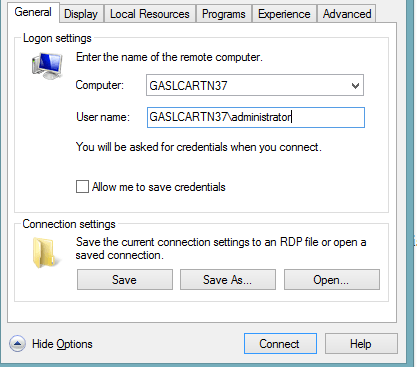 As a bonus, you will get a free guide on making your own Windows 8 administrative menu! *All sub-headings are strictly fictional and are in no way taken from 2:00 AM fights that my neighbors regularly have. Exhausting the USNs: Inventory + AD = :( ? if you do it [write to a computer] after every logon, you can quickly exhaust the USN for the whole AD domain! And then the domain is dead. Wow! So, according to this guy – our whole domain will die? That doesn’t seem right. Unfortunately, I do not know enough to accept or deny this statement so I did some research (and contacted Microsoft). I’ve Made My Domain Disappear!